What is this, a controller for ants? Then I adapted the PCB for the horizontal encoder. At the same time I also removed the protection diode of the buzzer, as I realized that these buzzers are not piezo buzzers, but a "active magnetic" buzzer, i.e. 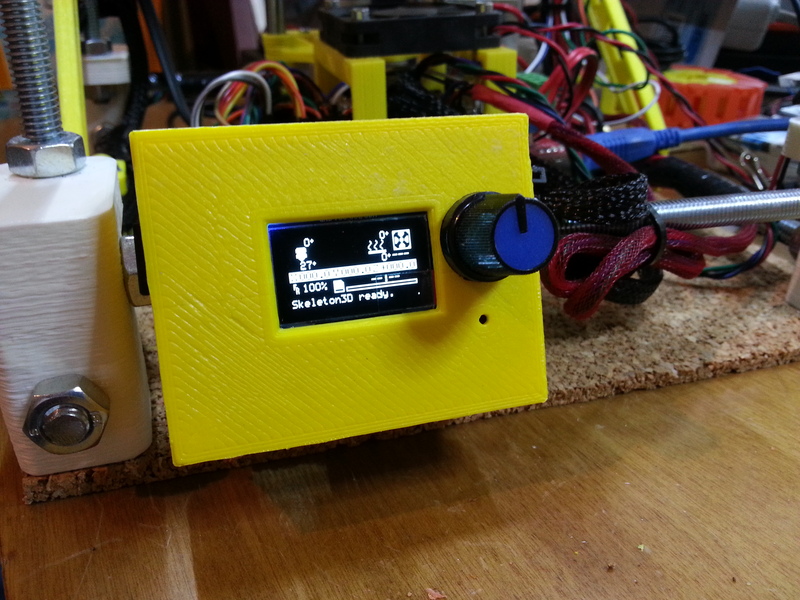 an oscillator with a small speaker. I also added the possibility for an optional resistor in series with the buzzer, in case it buzzes too loud or draws too much current. I really think that Chri's idea makes much sense: it's more intuitive to use, smaller to implement and also (in my case at least) the encoder pushing force is better absorbed by the frame. Thanks, Chri, for your excellent idea! Edited 2 time(s). Last edit at 05/06/2015 02:18AM by enif. Is that not a setting in Pins.h? If someone needs to buy the encoder anyways, might as well get the right one from the start. It'll require tweaking the circuit board though. Although i think a original vertical encoder would be better for longtherm stability as it would have a square soldered footprinted compaired to the modified normal that only has a "line" soldering. I hope to also can make one soon, just have to find a source to make the pcb ^^"
I agree that using a commercial "right angle" encoder would be cleaner. However, the solution I now use has a total height above PCB of only 12mm, which is just 1mm below the OLED display surface. The commercial ones I saw so far were all at least 2mm higher. enif, how do I open your files? I don0t have SW that recognize .patch file. It's just a simple text file which contains the differences as lines marked with + and - . Under Unix there is a utility called patch which can be used to apply the patch, but since it's only a few lines, you can just as well do it manually. Ok, so I must add + lines and it will be ok? Yes ... and remove "-" lines - but I don't think that there are any in this patch! I still have problems-it's not clear where to copy, what to copy and what to replace. 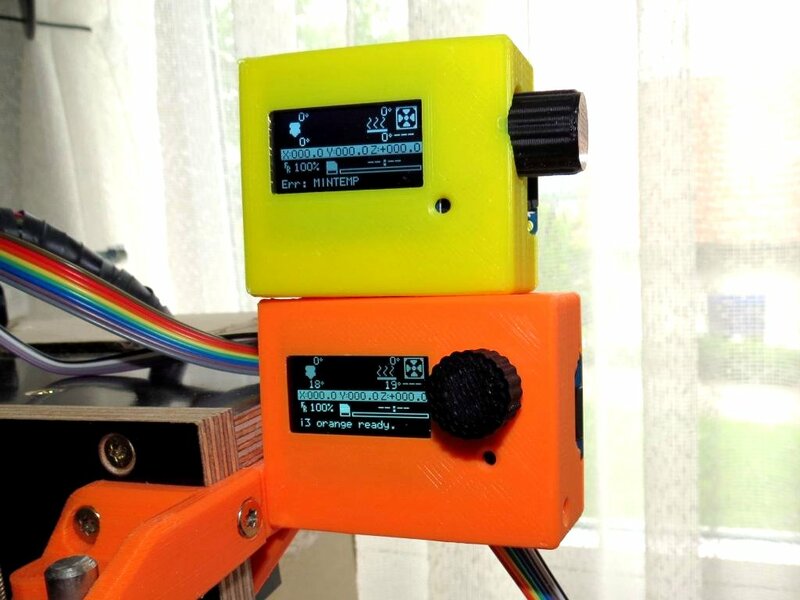 The SCAD and STL files for the 0.96" and 1.3" versions of the TinyOLED with the side mounted rotary encoder are now on thingiverse. Can't do anything with that. There is NO Windows program that can do that patching. I need pre-configured Marlin or detailed explanation about this changes. Conditionals.h and pins_RAMPS_13.h are not Marlin-do I need to create those files or what? Also, what are line number that I need to change? Edited 1 time(s). Last edit at 05/08/2015 01:45PM by 3dMistery. FYI, those files *are* part of current Marlin, but did not exist in older versions. Thank you very much. I downloaded the lastest version and now it works. Awesome!!!!! Nice! Thanks for posting the photos, Mandrav! 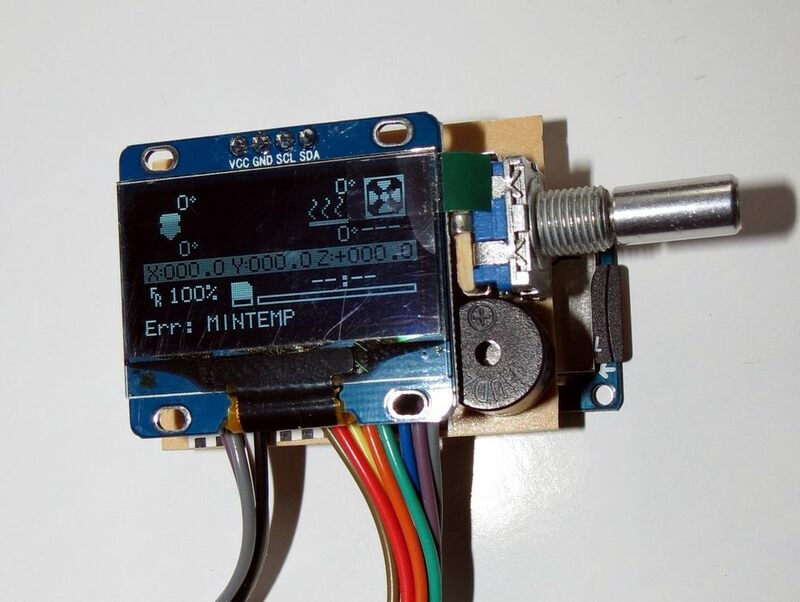 enif, I have question for you-could this OLED be used in older versions of Marlin and can it be also used with Repetier firmware? As for older versions of Marlin, I don't think that there should be any problem. I use it with Marlin versions 1.0.2 and 1.0.3. Even older versions should work in principle, but you have to find the right place to make the changes, especially in the old long pins.h. I have it working with repetier. @@ -110,11 +110,11 @@ What display type do you use? 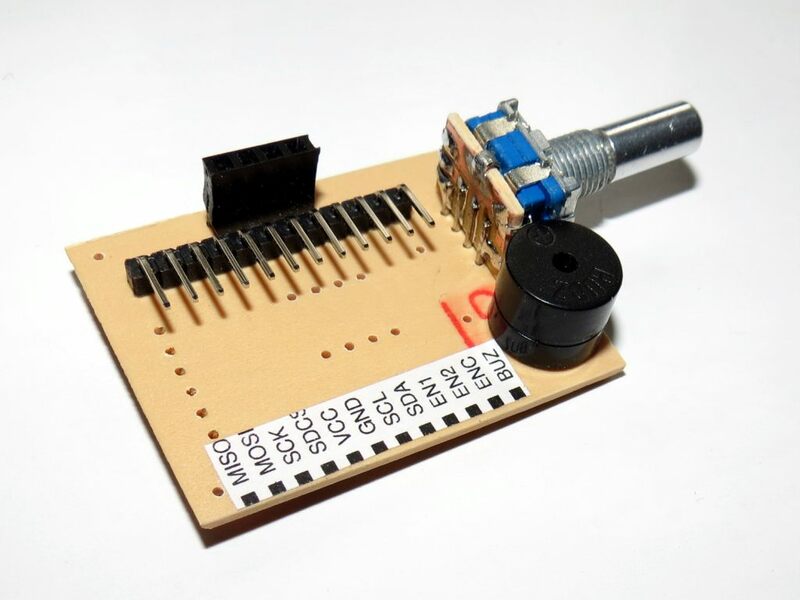 -  //UI_KEYS_INIT_CLICKENCODER_LOW(33,31); // click encoder on pins 47 and 45. Phase is connected with gnd for signals. +  UI_KEYS_INIT_CLICKENCODER_LOW(33,31); // click encoder on pins 47 and 45. Phase is connected with gnd for signals. //  UI_KEYS_INIT_CLICKENCODER_LOW(47,45); // click encoder on pins 47 and 45. Phase is connected with gnd for signals. 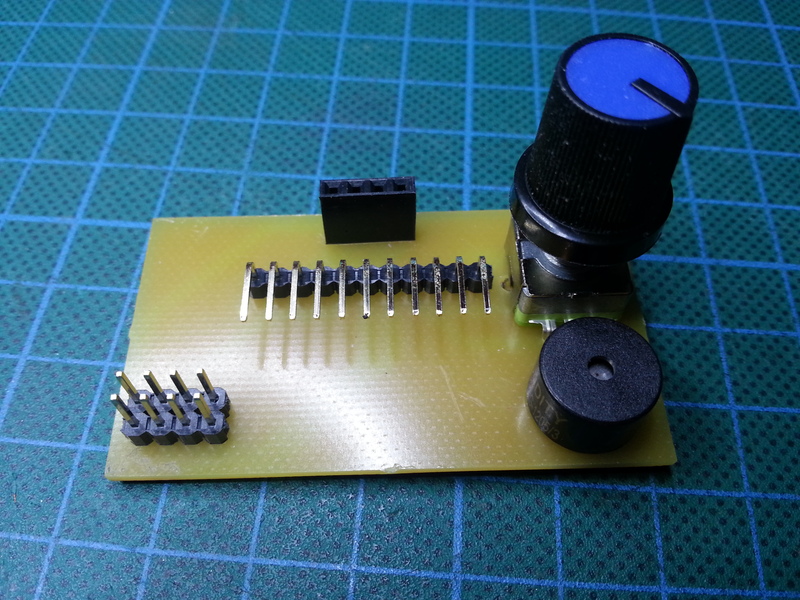 - //UI_KEYS_CLICKENCODER_LOW_REV(33,31); // click encoder on pins 47 and 45. Phase is connected with gnd for signals. 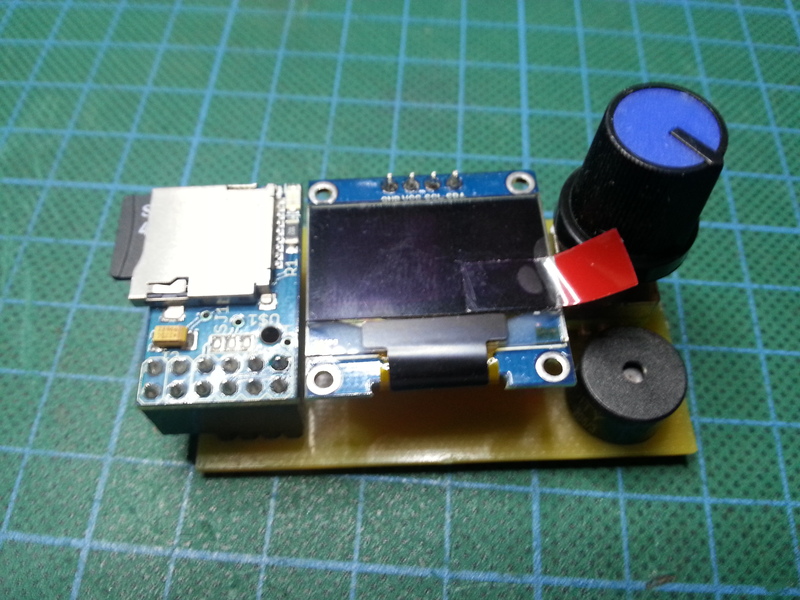 + UI_KEYS_CLICKENCODER_LOW_REV(33,31); // click encoder on pins 47 and 45. Phase is connected with gnd for signals. //  UI_KEYS_CLICKENCODER_LOW_REV(47,45); // click encoder on pins 47 and 45. Phase is connected with gnd for signals. Just make sure that FEATURE_CONTROLLER is 1 in your Configuration.h. Nice, I will try that. 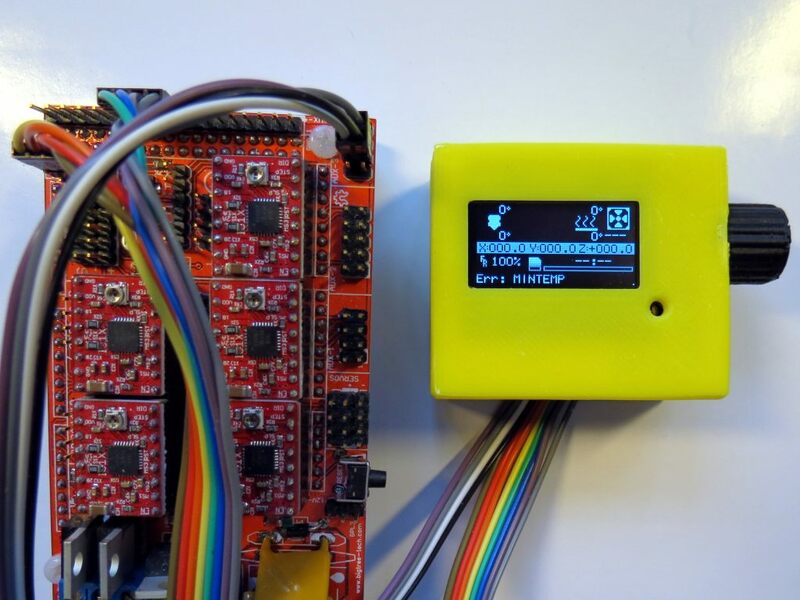 I have the oled display here in the spi version, not the i2c version as used in this project. Since the SD reader is using the spi bus anyways, could I also use the SPI display instead of the i2c? That should work - at least in theroy But you would need to have one extra signal for the oled's CS, e.g. you could use one of the I2C signals for that, as long as you don't need the I2C for the EEPROM. 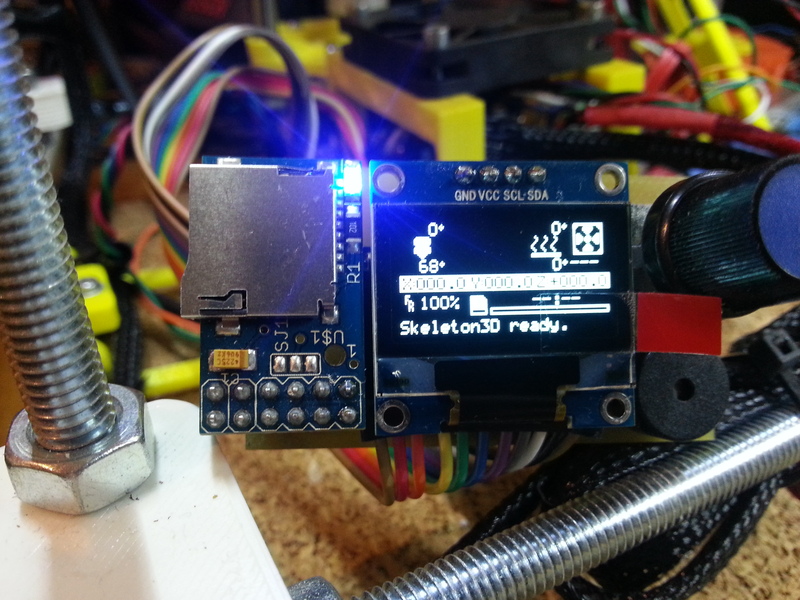 Also, check out if your oled module cannot be reconfigured for I2C by modifying some of the resistors on the back. Many modules I saw, allow for both SPI and I2C protocols. So far, I have only used "I2C-only" oleds, so I have not hands-on experiences with these SPI/I2C type oleds ... yet! enif, I would like to change the board layout in order to use the spi display. I can´t find the source files.. did you use kicad or eagle? Hi, I have a hard time wiring the SPI display up... no datasheet for the sainsmart display seems to be available. 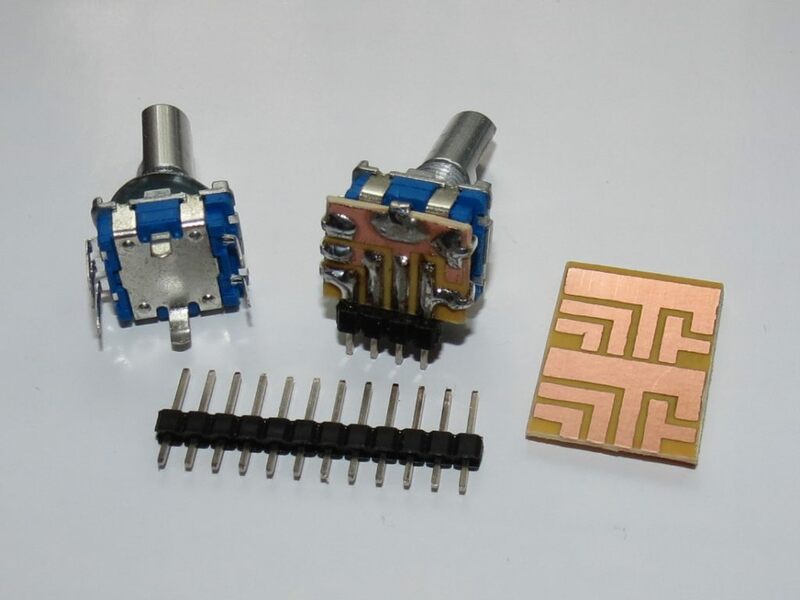 The connectors are called CS,RST,DC,SCLK,SDIN,GND and 3,3V. SCLK is the clearest one and does not need any explanation, SDIN seems to be MOSI, CS seems to be SS. However, I have no clue what RST (Reset ? what does that have to do with SPI?) and DC are. MISO should not be needed, since the display is one-way comms. And then, marlin-wise what do you guys think I should need to do except changing the pin assignments? I mean, u8glib needs to know that it is to communicate via SPI instead of I2C, or is just changing the pin assignments enough? Also, changing the display from SPI to I2c seems to be possible by swapping some resistors, but also, I have no clue on how ot do this, lacking any datasheet. Also R2-R5 are on a resistor bank on the SPI module.. so this too is quite difficult.